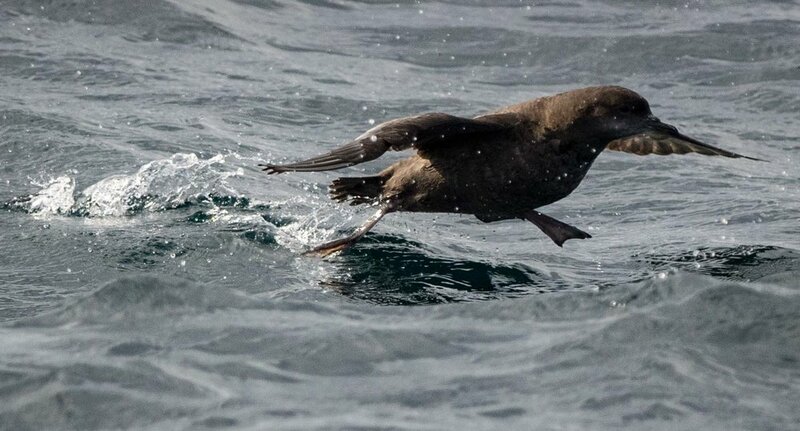 An annual treat – cruising the nearby coastal waters in October, whale-watching and seabird-spotting. The geology of Ben Boyd National Park provides a spectacular backdrop against which to view the migrating Humpbacks. We had no sooner pulled out from the dock in Eden, however, and we were with the whales! Having birthed their calves in the tropical waters off QLD, mothers with young are moving slowly back towards Antarctica. The babies are about three months old by the time they reach us here, and they seem to delight in their growing strength. The sheer number of whales that we saw this year was wonderful. The cruise operators lowered a hydrophone, and the haunting songs of the whales resounded through the boat's loud speakers. This curious adult male (below) made several deep-throated coughing sounds at the surface, and was quite clearly interested in us. 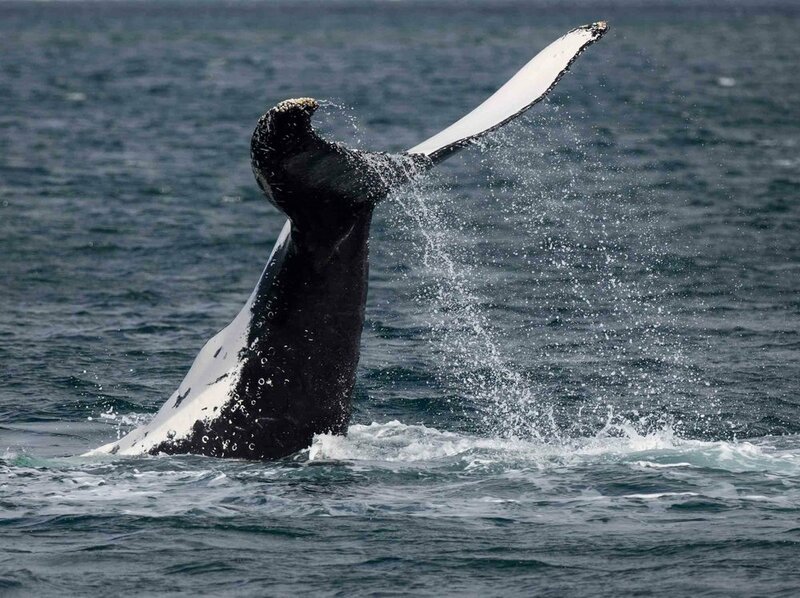 On several occasions, whales would swim directly toward the boat, sometimes stopping nearby to engage in tail-slapping displays. 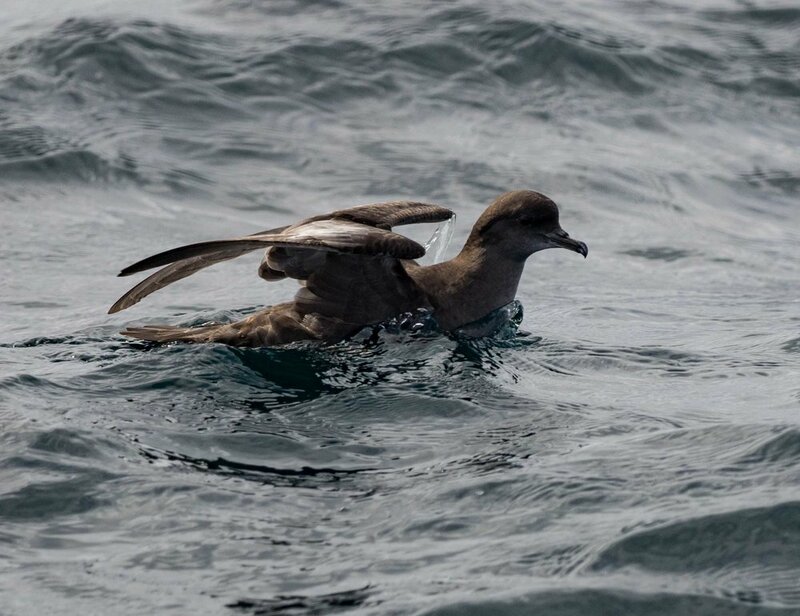 Short-tailed Shearwaters are a common sight during October, flying low over the waves or resting in large 'rafts'. There were also White-bellied Sea-Eagles cruising out from the tree-lined shore, and Australasian Gannets visiting the inshore waters before heading further out to sea in search of fish. And, as often happens, the boat's wake attracted the attention of a pod of boisterous Common Dolphins. A wonderful morning, and a pleasure to be able to spend it with friends visiting from Canberra.